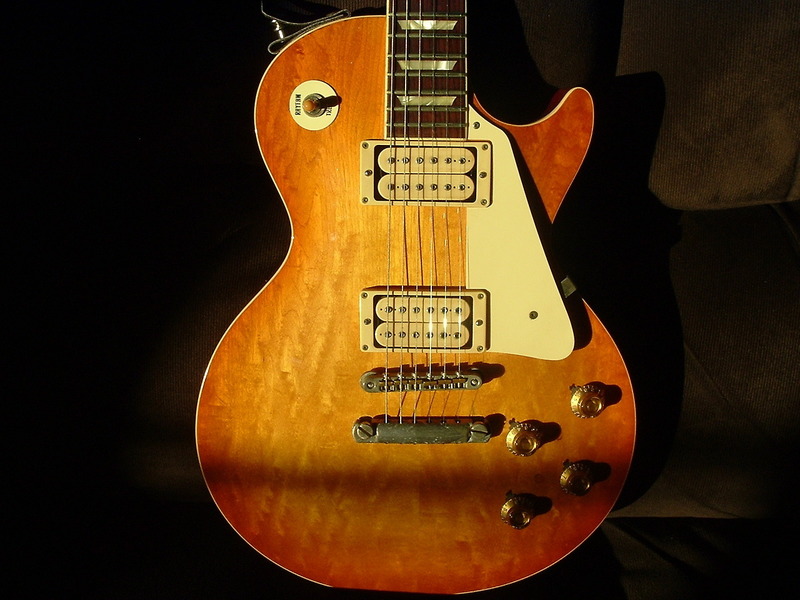 I found myself ogling as part of my vintage Tokai reacquisition quest. Thanks for still hosting the photos in their original places! How can you tell what model they are if there's no sticker on the back of the headstock or no stamp on the last fret? 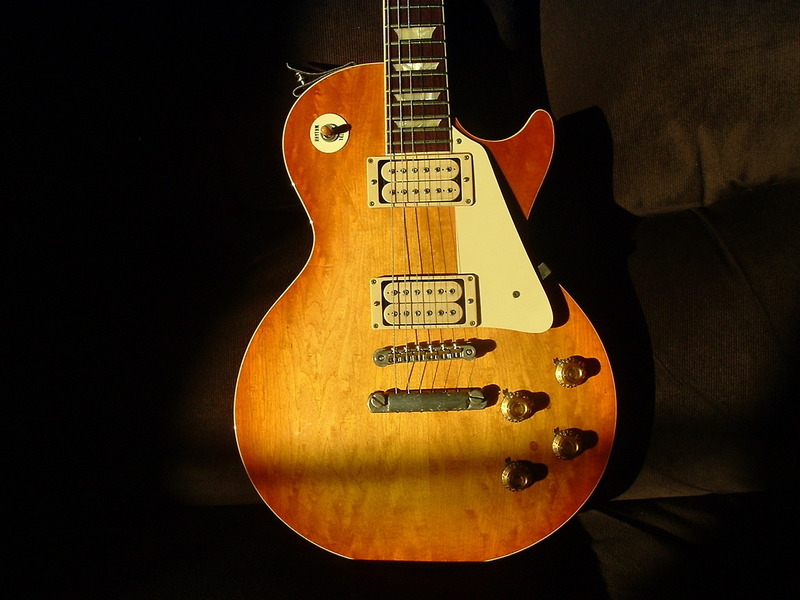 if the example is unmolested & retains the original pickups, this can help to determine grade. also, some examples may be stamped internal/pickup routes. 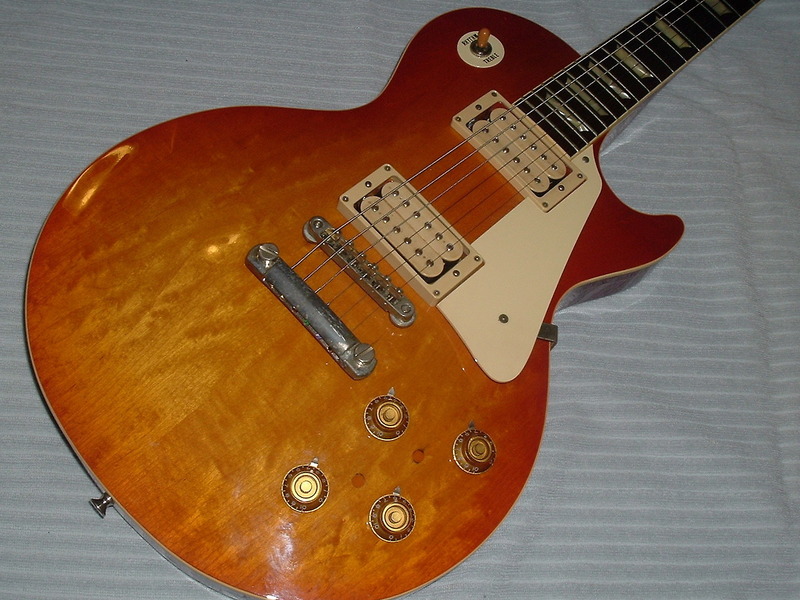 Not a flame top but not quite plain either, somewhere in between, figured top maybe? The grain really changes at different angles. 1979 LS100 OS refinished into some sort of lemony burst. That's a nice 100. Little birdseye blisters ?? It's got character.